– In conjunction with local farmers and others, to oversee and facilitate the provision of a real time IoT (Internet of Things) soil and water monitoring network on a number of farms on the Dingle Peninsula. 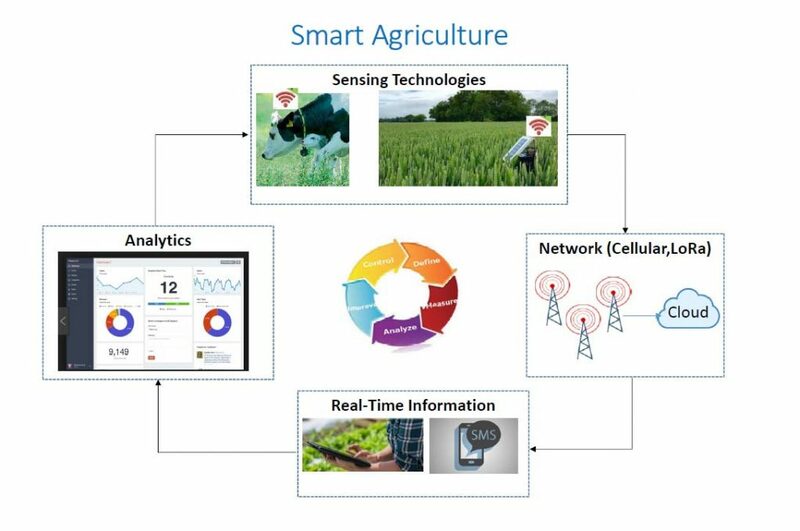 – To identify and support the commercialisation of (IoT) agriculture use cases. – To help demonstrate that, through the use of such systems, significant changes in efficiency and in the manner in which farming is managed and regulated, can be achieved, based on the use of real-time, accurate, relevant scientific data. It is now possible to deploy IoT systems that will facilitate farmers in complying with complex environmental regulations and assist with increasing the overall efficiency of farming. These systems can also be used to help sustain the long term viability of our local and family farms by supporting the transition to more biological and natural farming systems. One such system uses sensors that are linked through a wireless, low-power radio network that can enable the data to be viewed and stored remotely. Using this system to provide real-time data that monitors soil and water quality should enable greater understanding of the environmental impacts of current regulation and farming practice. It will provide options to enhance the utilisation of science and technology to improve the efficiency of farming, while also reducing or eliminating the negative environmental impacts. The purpose of this project is to provide commercial opportunities through the development and proof of concept of a range of IoT agriculture use cases. It will provide a number of inter-connected IoT networks for farmers across the Dingle Peninsula and to allow real-time, automated monitoring for a number of agriculture use cases including, but not limited to, soil and water parameters; milk tank levels and temperature; gate open/closed status and feed tank levels. By linking the scientific data on local soil and water conditions and then monitoring the impact on the local rivers and catchment areas, it should be possible to develop a bespoke, scientific, evidence-based approach to farming in an area that improves the efficiency of the farming, while also improving the environmental outcomes. This project aims to deploy and integrate sensor nodes with IoT gateway technologies on five farms on the Peninsula. It will develop a bespoke dashboard and a cloud-based storage platform to capture the data, store the data and make the data available for increasing the efficiency of managing the farm and also to help comply with regulatory requirements. It will also develop an App to make the data easily available to farmers in real-time.